POLSON — As the walls go up on the O’Reilly Auto Parts store in the Ridgewater Subdivision, locals wonder if Polson can support another auto parts store. With stores in 17 Montana towns and cities, O’Reilly’s has also expanded to Columbia Falls, Hamilton and currently is constructing a store in Polson with rumors of an opening date in October. 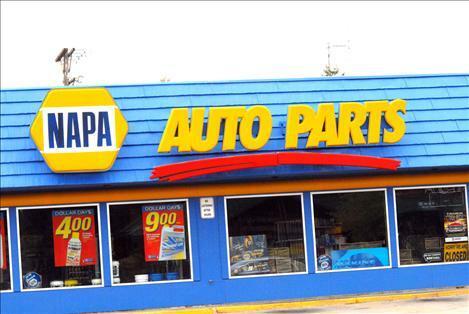 The two other auto parts businesses in Polson are Auto Zone, which opened in August of 2013, and NAPA Auto Parts, which has been in business in Polson since 1959. Originally owned and operated by Roy Curry. Boyd Vandeberg bought Polson’s NAPA from Curry, and now his son Todd Vandeberg runs the business. After 30 years in business, Todd said Polson gets a lot of traffic in the summer, but it’s been his experience there’s “a big slow down” after Labor Day. He hasn’t noticed many more people moving to the area, either. “Auto Zone affected us a little, but not a whole lot,” Todd said. His main beef with the other stores was that he believes they brought out-of-town people to do all the construction work, not locals. He added that he doesn’t know too much about O’Reilly’s but has noticed their new stores springing up in Missoula, Columbia Falls and Hamilton. NAPA is focused more on engines, chassis and hard parts, he said. Auto Zone managers and employees aren’t allowed to speak to the press, and their corporate office public relations staff did not return a call by press time. 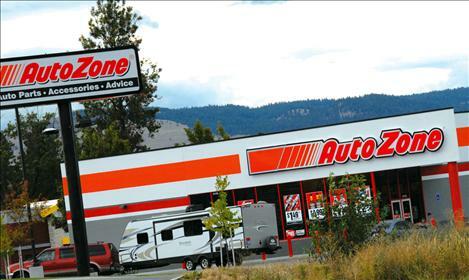 The Auto Zone website notes that the business targets do-it-yourselfers and commercial customers. A customer at the store said three auto parts stores in town will be a plus for customers.